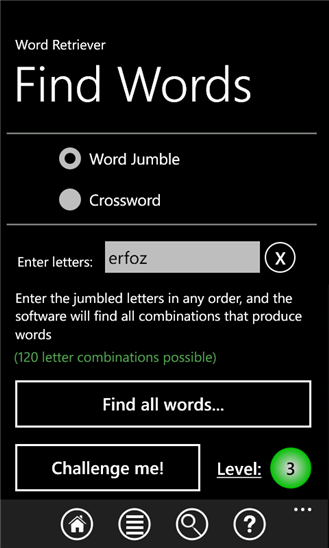 Word Retriever challenges you with, and can solve, word jumble and crossword puzzles. It lets you choose from five skill levels, so anyone from beginner to advanced can use it. Word Retriever can also lookup the definition of any word as well. It is a lot of fun and it even helps you learn new vocabulary. You can try it for free.